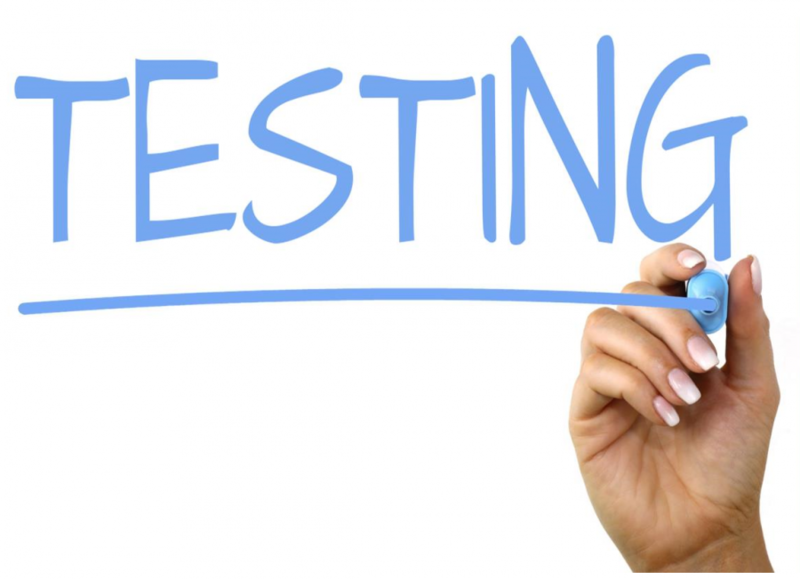 Unit test are crucial part in software development process. In late 1990s Kent Beck stated that writing tests is the most important part of writing software in ExtremeProgramming metodology. You can read a bit more about it in Martins Fowler article. As you noticed validator contains regular expression and parsing logic, that can always be faulty. We only allow a column to be from A to H and seat to be between 1 and 15. Let’s add unit test to be sure that it works that way. Now we can start writing tests. 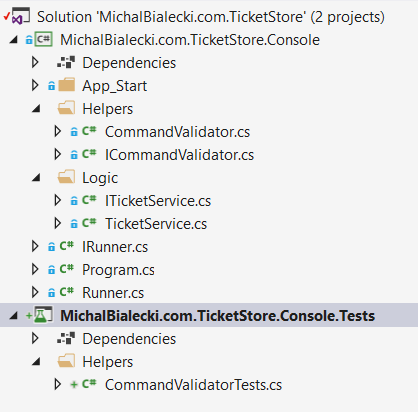 And test looks like this. 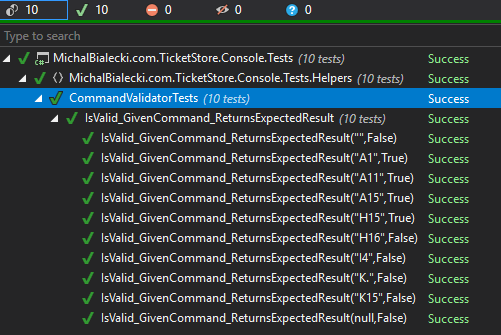 In Resharper unit tests sessions window all tests passed. Notice how test results are shown – everything is clear from the first sight. You can immidiately see what method is tested and with what conditions. 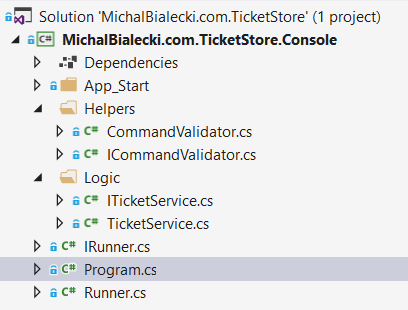 If you’re interested what are the best practices to write unit tests, have a look at my article: http://www.michalbialecki.com/2019/01/03/writing-unit-tests-with-nunit-and-nsubstitute/. It will guide you through the whole process and clearly explaining best practices.